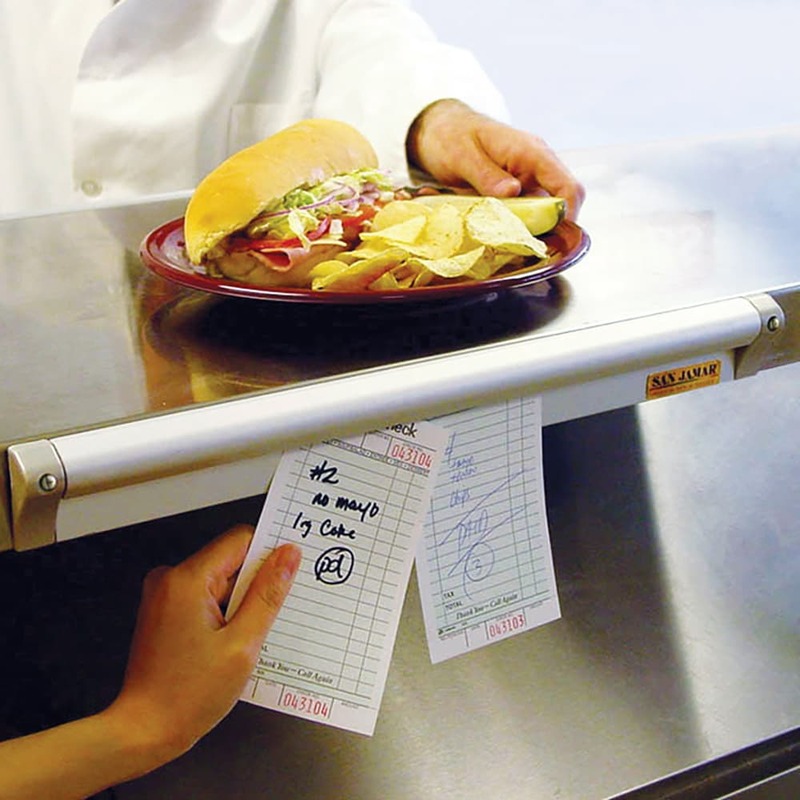 An innovative design makes Slide Check Racks the first and only that provide secure check holding and smooth sliding. 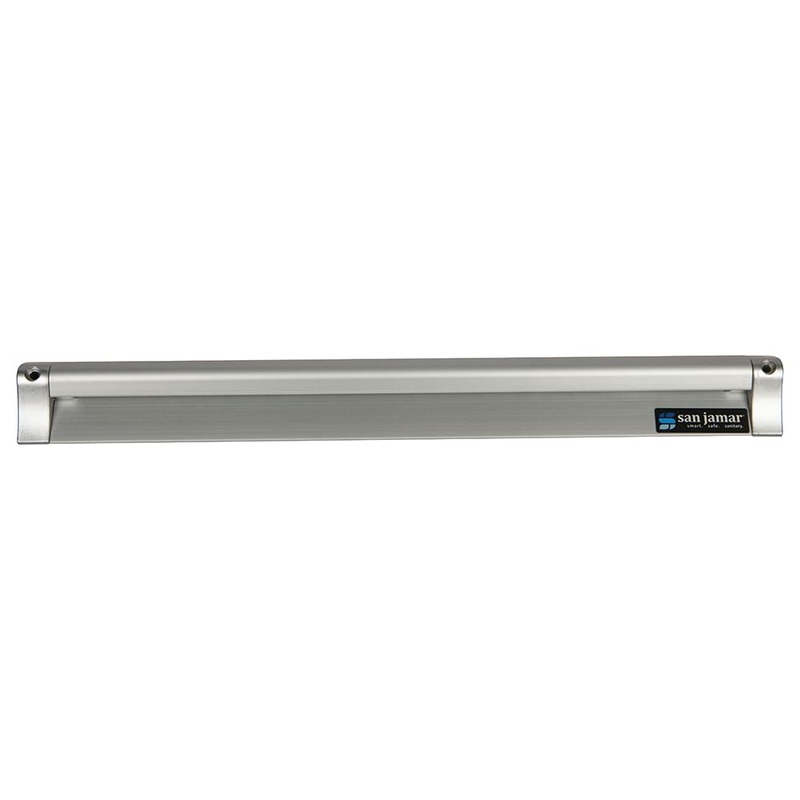 Smart mounting hole location keeps shelves unobstructed, allowing clear pass-through of orders. Tough aluminum construction, secure end caps and sleek design ensure long life and durability. New end caps screw securely into place. Now includes mounting screw pack. Attractive, sleek design enhances front-of-house and open-kitchen appearance. Tough aluminum construction and glass marbles ensure durable, long life. Bagged with header card for easy merchandising.